The annual discussion about the line-up for the upcoming Premier League Darts has begun. The PDC will announce the line-up for the lucrative darts competition on January 1 after the World Championship final in London. Simon Whitlock posted a strange message on Twitter earlier this week regarding the Premier League Darts. The Australian said he was looking forward to be back in the Premier League in February. ‘The Wizard’ is back”, he added to this tweet. This message at least suggested that Whitlock thinks he will be selected for the Premier League. Meanwhile, Dutch darts commentator Jacques Nieuwlaat came with a noteworthy section in his monthly column on the website from RTL7darts, the Dutch darts broadcaster. 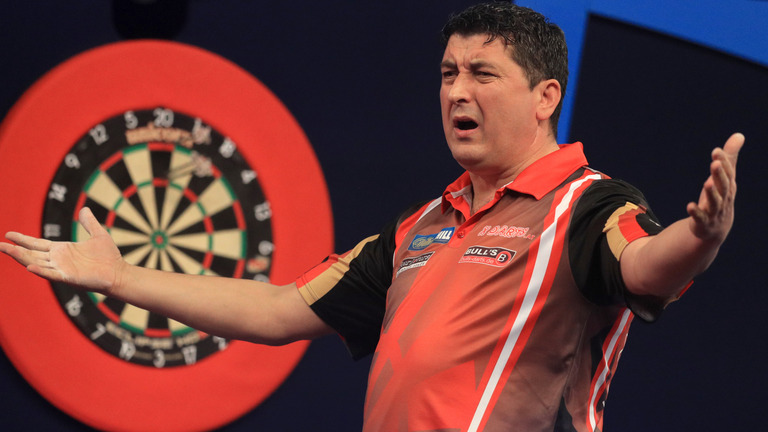 Dartsnews.com spoke to Suljovic’s management and they denied the speculation. ”The comment from RTL7’s website about Mensur skipping the Premier League Darts next year is absolute rubbish. Mensur loved playing in front of the vast crowds at Premier League last year and would 100% love another crack at it”, manager Michael Lang said. In the upcoming weeks there will be a lot more speculation regarding the line-up for the Premier League Darts. The top-4 on the PDC Order of Merit will receive a invitation for this event, while the remaining six spots will be devided by wildcards.